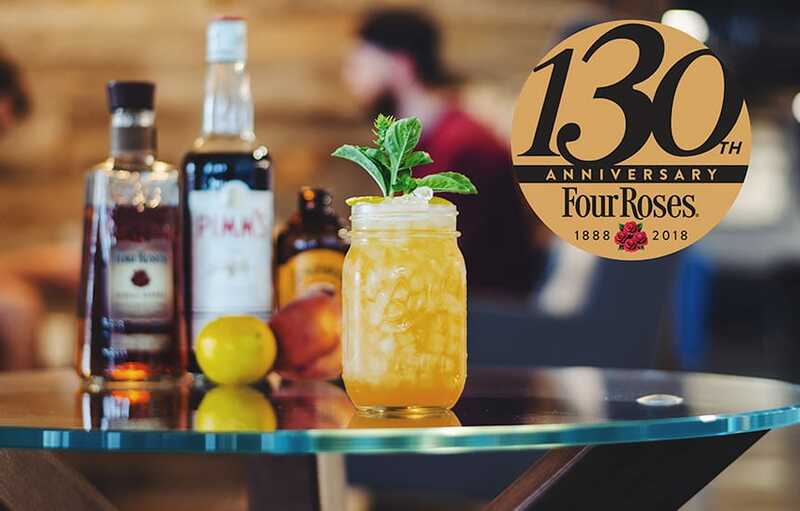 We invited all backyard bartenders, self-taught mixologists and kitchen cocktail crafters to share their best Four Roses cocktail recipes to celebrate our 130th anniversary. While most cocktail competitions feature experienced professionals, we know many Four Roses followers create stand-out drinks for dinner parties, cookouts and any number of other Mellow Moments, so we launched our first-ever at-home cocktail competition, inviting Bourbon lovers around the country to share how they handcraft the moment with Four Roses. We are so thankful for our Bourbon friends from all over the country who submitted their quality, handcrafted cocktails—and thoroughly enjoyed tasting them—but of course, only one can be chosen for the grand prize. We are honored to announce that Will Mejia from Phoenix, Arizona was named Best Home Bartender for his Peach Rose cocktail, which will be named our Official 130th Anniversary Cocktail and served at a number of events around the country. Will shared with us that he started playing around with cocktails many years ago and then realized the enjoyment he gets when sharing new recipes with his family and friends. As it turns out, thePeach Rose is his wife’s favorite drink! When he’s not mixing up cocktails at home, Mejia’s day job is Vice President of Design at Meltmedia in Tempe, Arizona. Take a look at the Peach Rose recipe below, so you can handcraft one at home and toast to our 130th Anniversary with us. Muddle peach with simple syrup and lemon, then add the Pimms® and Four Roses Single Barrel. Shake over ice and strain into a mason jar. Add pebble ice and splash with ginger beer. Garnish with lemon rind and fresh basil. If you decide to handcraft your own version of the Peach Rose, please share it with us on Facebook, Twitter or Instagram with the hashtag #HandcraftTheMoment so we can check it out. In addition to naming rights to Four Roses’ 130th Anniversary cocktail, Will is also receiving a Four Roses barrel head, signed by Master Distiller Brent Elliott, and a trip for two to attend the internationally acclaimed Kentucky Bourbon Festival this September.